Altenburger. Art of brewing since 1871. ALTENBURGER. ONE PROMISE, ONE COMMITMENT, ONE PASSION. OUR NAME IS A PROMISE. 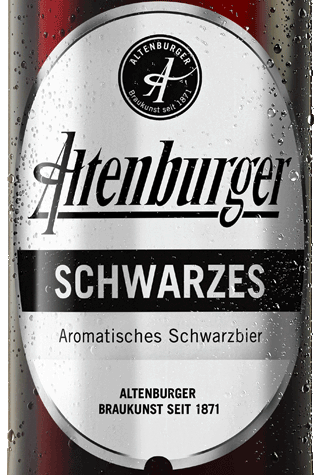 A promise of the best beer from Altenburg - simple, honest, independent. OUR NAME IS A COMMITMENT. A commitment to our deep roots in the region and a connection to its people. OUR NAME IS A PASSION. Our passion is good beer. 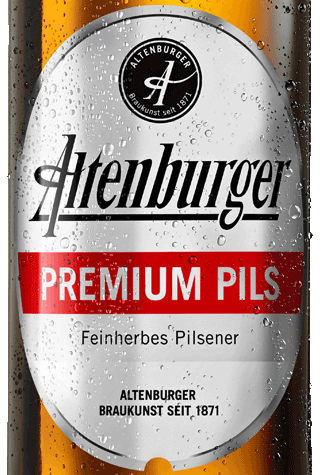 Altenburger Premium Pils. Pleasantly bitter due to regional Elbe-Saale hops. Traditionally brewed, with cold fermentation and long maturation until the bottling stage. 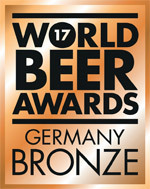 It has also received several awards from the DLG (German Agricultural Society) and was awarded gold in the World Beer Awards 2017. 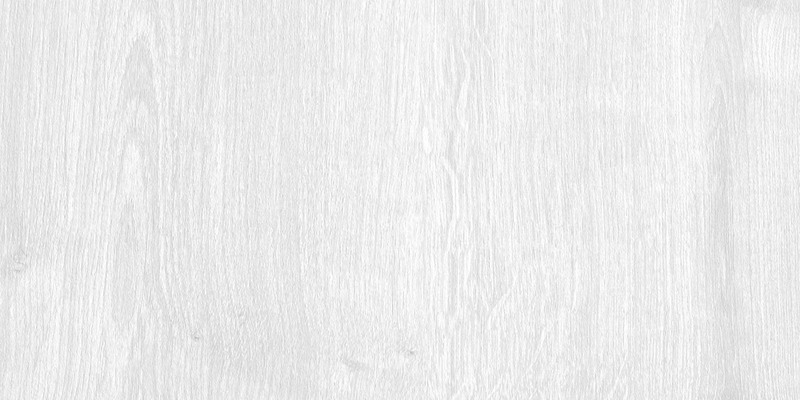 BITTER, CLEAR, HONEST.BITTER, CLEAR, HONEST. Simply good taste - since 1871. Altenburger Hell. A fine lager - brewed with light malt! Subtly hoppy, it’s a really magnificent beer. Straw yellow and fresh, with a sweet aroma. This beer shows our clear passion for brewing. 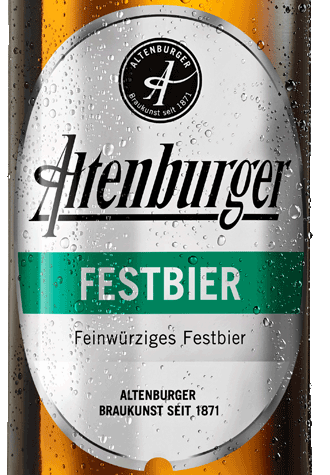 Altenburger Festbier. The amber-coloured, smooth beer is the right choice for any celebration. Full-flavoured with delicate aromas. Traditionally brewed - and a taste sensation! CELEBRATE WHEN YOU CAN.CELEBRATE WHEN YOU CAN. Altenburger Radler. We mixed the naturally cloudy Altenburger Hell with lemonade. And this is what we got: a Radler. You can’t get any better. Sparkling, refreshing, delicious. Not just great for bike rides. A DIFFERENT TASTE.A DIFFERENT TASTE. 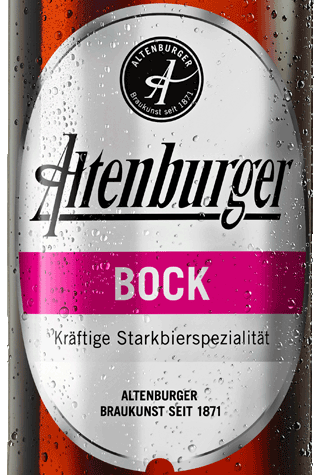 Altenburger Bock. The colour: copper. The taste: powerful! It is full-flavoured, rounded and has warming aromas, with sweetness from a hint of honey. 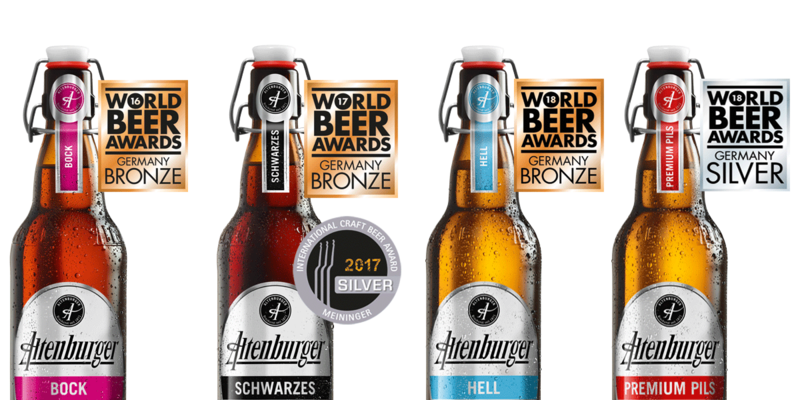 The judges at the World Beer Awards recognised this in their first sip and awarded our Altenburger Bock bronze in 2016. That’s what makes brewing fun. And drinking even more so. A STRONG PIECE OF BREWING ART.A STRONG PIECE OF BREWING ART. 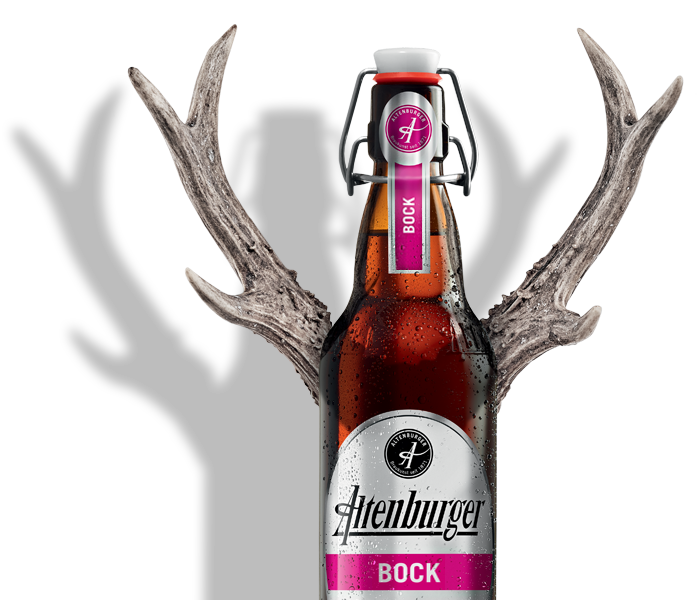 Turning Bock into something more. Altenburger Schwarzes. Selected roasted malts give it its deep dark colour and delicate regional Elbe-Saale hops give it a slightly bitter finish. 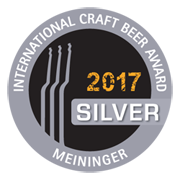 Awarded bronze in the World Beer Awards 2017 and silver at the Meininger Craft Beer Award 2017. IF IT’S DARK THEN PROPERLY DARK.IF IT’S DARK THEN PROPERLY DARK. Altenburger Weißbier. Sunny yellow and clouded with yeast. Pleasantly fruity and sparkling. Classic recipe with a lot of wheat malt, paired with yeast from our own pure culture. The result is the brewing work of art you can taste! = full wheat beer taste. Art of brewing since 1871. Good history. Yes, we are a small family business. But we are independent and owner-managed, not a large corporation. We make ‘outstanding’ beer in the truest sense of the word. The DLG bestows awards on our beer year after year. We are committed to the region. In fact, we secure over 50 jobs in the brewery and source raw materials from the region. As a training company, we give young people career perspectives in the region. We support more than a dozen other sports and cultural clubs and give them a second home in our brewery. Altenburger Brauerei advocates responsible drinking of beer. That’s why our website is only suitable for persons over the age of 16. Yes, I am over 16. No, I’m under 16.